This December Remarkable Vocals presents songs for Christmas, some Jazz items, a trombone solo from Luke Petre, piano solo from Kana Takahashi and some special duets. A highlight of the concert will be the dynamic Mozart's Laudate Pueri while two beautiful choral versions of Hoagy Carmichael’s Stardust and Skylark provide a moving jazz interlude in this mainly classical concert. We get feedback from our audiences our concerts are not just full of movingly performed music, but they are an experience in themselves because of the venue and the hospitality provided.The half time complimentary drinks and nibbles are always an opportunity to chat over the music performed thus far, but also to chat with friends and meet new concert goers. 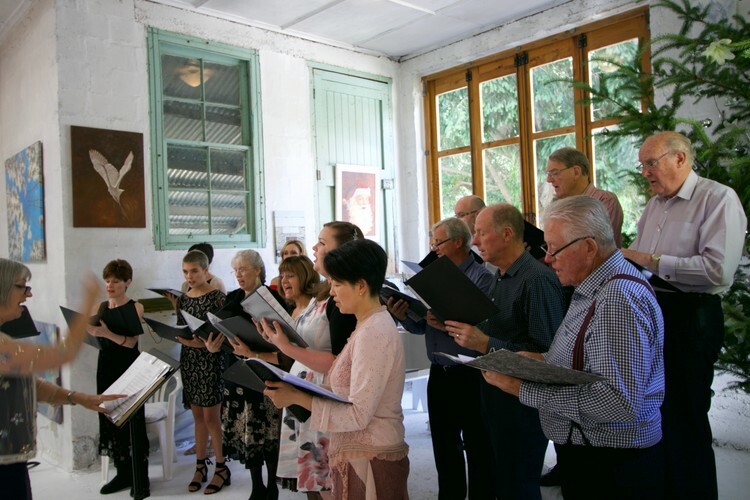 The Choral Ensemble, Remarkable Vocals is in its 13th year with a keen and capable cast of local singers and musicians. We get together for the enjoyment of singing. To bring together a programme twice yearly to share our music with an always appreciative audience makes the hard work all the more worthwhile. Make sure you don’t miss the Laudate experience on the 9th. Tickets $40 (including refreshments) are available from the Lakes District Museum, Summerfields Pharmacy and Wilkinsons Pharmacy. Sorry no door sales as the concert sells out prior to the event.